What tech conference has over 1,000 speakers and 30,000 attendees across 21 summits that’s a mix of Fortune 500, early stage startup, and investors? That would be Web Summit, one of the fastest growing tech conferences. Having started just five years ago in Dublin with 400 local attendees, it’s now grown to tens of thousands. 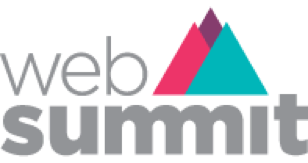 We’ve been keeping an eye on Web Summit the past few years and have heard great things from our peers in the industry. This year, we’ve decided to join the party and partner with the folks at Web Summit, which is being held again in Dublin, Ireland, from 3-5 of November. Riverbed will be participating in the Enterprise Summit. This is a standalone two-day conference being held at Web Summit. Enterprise Summit attendees have four focused tracks where they can hear from industry thought leaders on topics such as Big Data, Cloud, Enterprise Security, and Enterprise Technology. There is also a plethora of other activities including workshops, networking events, and exhibitions. #1: Networking! Meet new people and be a part of one of the fastest growing, and most exciting events in technology. #2: Learn! Attend a session to hear from industry leaders and innovators including Riverbed’s own Jon Hodgson who will be sharing a session on ‘Chasing Performance Phantoms’ on 5 Nov @ 1:50pm. #3: Free stuff! Visit our booth #D808 and have a chance to win a GoPro camera in our daily giveaway so you can capture all of your peak performance moments. We’ll be exhibiting our Application Performance Platform and showcasing how we are elevating IT to new heights by providing the highest levels of insight, agility, and confidence for IT leaders through application performance infrastructure solutions. Whether you are a startup using 100% cloud apps or a Fortune 500 company with a complex hybrid environment, we will show you how you can ensure peak performance for all of your business-critical apps. It should be a fun week in Dublin. I am planning on networking at the many pub crawls while enjoying a Guinness. Join us at Web Summit by getting your tickets now. Stop by stand #D808 and come see us or learn more at riverbed.com.